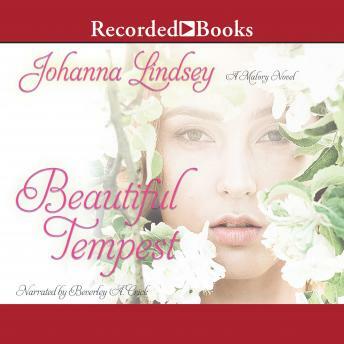 #1 New York Times bestselling author Johanna Lindsey now reveals the tempestuous story of Jacqueline Malory whose furious desire for revenge leads to a confrontation with the handsome pirate who abducted her-and sparks a much steamier kind of desire. For the first time, James Malory and his Anderson in-laws agree on something: It's payback time for the culprit who kidnapped James and Georgina's beloved daughter Jack from her American debutante party and whisked her away to the Caribbean, no matter that she escaped unscathed. James figured out who masterminded the dastardly plot and is leading a fleet of ships to the West Indies to deliver some Malory-style retribution. More interested in revenge than in finding a husband during her first London Season, Jack is furious that her father left her behind. Then an intriguing stranger leads her and her older brother Jeremy to her mysterious abductor. But instead of capturing him, the Malory siblings wind up as his " guests" on a ship sailing away from England. As Jack re-engages in a battle of wills with her all too attentive captor, she realizes he is no ordinary pirate, perhaps no pirate at all, but a nobleman determined to settle a score that dates back to the days when her father was known as Captain Hawk-and what endangers her most is the increasingly passionate attraction they feel for each other. Jack was a real ball buster. No subtleties in this story. I got the impression the author is tired of writing about the Mallorys.